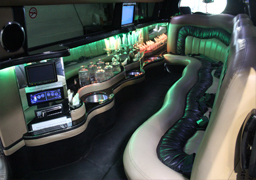 The Hummer limousines are by far the largest and most popular limos to hire when it comes to arriving in style. 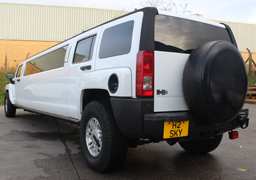 We have access to the largest fleet of Hummers in the UK. 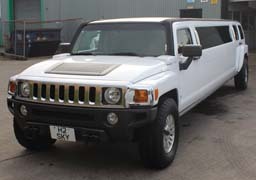 Our selection of Hummer limousines is one of the best in the UK. 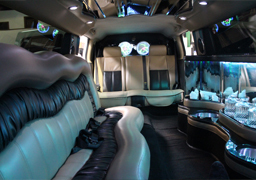 These vehicles simply have to be seen to be believed, if you want to stand out from the crowd in a big way this is the perfect way to do it. 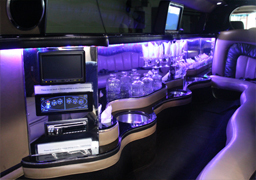 Platinum Limo Hire also provide a wide range of other latest and new limousine hire vehicles and Wedding Car Hire which include Rolls Royce Phantom Hire, Bentley Flying Spur Wedding car hire, 8 & 16 seater Hummer H2 Limo, Chrysler 300 Bentley limo, Ferrari limo hire, Lincoln Towncar Limo Hire, Rolls Royce wedding car hire. 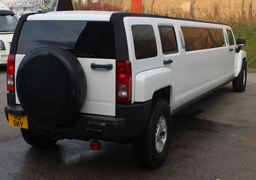 The Hummer H3 limousines are by far the largest and most popular limos to hire when it comes to arriving in style. 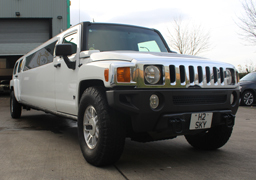 We have access to the largest fleet of Hummers in the UK. 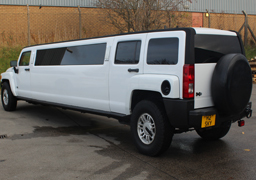 Our selection of Hummer limousines is one of the best in the UK ranging from the standard style Hummers to the pink Hummers. These vehicles simply have to be seen to be believed, if you want to stand out from the crowd in a big way this is the perfect way to do it.